The extent of a product’s impact on a company is greatly affected by one’s ability to sell it. Salesmen can simply do their jobs and put your products out on the market. However, there needs to be a deeper level of instruction if you want to maximize sales and profits. That is why sales training courses are so important for a business. They can teach salesmen the proper language required to form bonds with customers and close sales. These training courses can be in the form of in-person training or online meetings. If you are a business owner interested in the benefits of sales training courses, use this post to educate yourself. The most obvious benefit of sales training courses is an immediate increase in sales. Educating salesmen on proven sales processes and product life cycles will provide them with the skills necessary to start dialogue with clients, dig for motives and close on deals. Once they have the process down, they will be able to improve their sales proficiency. This will help to increase the number of sales they make on average. Selling is a honed skill. Sales training courses will greatly benefit your business. It will provide your salesmen with the right tools to increase sales numbers. 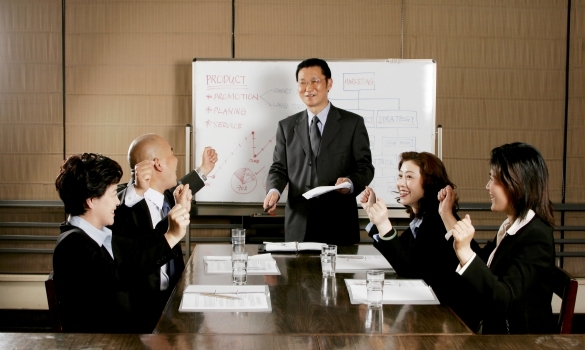 Sales training programs made for a more-informed sales team. It creates a team of sales professionals with a much better understanding of the link between customer service and sales and the importance of sales planning. These sales training courses also provide employees with a greater understanding of the sales process components and how they affect all business processes across different areas of business operations. Your sales team will be better able to sell when they understand the crucial role each step of the sales process plays in the overall business performance of a company. Having a sales team with a better understanding of the importance of their role and each individual component of their job duties is a significant benefit that business owners would be wise to capitalize on. Along with basic selling techniques, sales training courses will teach salesmen communication skills. These skills are vital to building strong customer relationships. Effective communication skills lead to an increased chance of sales. In addition, they lay a strong foundation for future retention. The relationship salesmen build will ensure that the clients feel comfortable enough to stay with your company, even after the initial sale is made. It can also bolster your marketing efforts. Happy customers are more likely to refer your company to their friends and family. Interpersonal relationships are incredibly important in the sales world. Sales training courses will help teach the skills required to build them. Once all of your salesmen are fluent in the selling language, you will find that communication within your company, beyond traditional business greetings, is more streamlined. Members of the sales department will have an easier time participating in business-related discussions. They will be able to effectively share knowledge on sales terminology. This will help clearly define sales plans. It will also improve overall efficiency. It is vital to have everyone working out of the same playbook. This will foster a stronger team atmosphere. Your business can only benefit from improved communication between employees. A sales training course can help to accomplish that. Up-selling and cross-selling are techniques in sales that involve introducing another product while pitching the current one. It is a rather advanced technique that can only be taught through a sales training course. By utilizing up-selling and cross-selling, your salesmen will be more likely to make multiple sales in a single meeting. This will help to increase your ecommerce business sales and profits. It will also help to market various products simultaneously. Efficiency is important in calculating the impact of a salesman. A sales training course will help to raise the likelihood of an increase of sales quantity. There are three options to consider for anyone searching for sales training. Sales classes are offered as public courses, private courses and online training. Public sales training courses are typically 1-3 day weekend workshops that interested professionals can buy tickets to. Private sales training courses are often organized by training groups that work with your business to right a specific training plan curriculum for your particular business needs. Online sales training courses are the most realistic option for most sales professionals. These online training courses in sales allow attendees to learn at their own pace using short daily lessons and quizzes, similar to most online business certificate programs. If you are considering providing sales training courses for your employees, make sure you determine which type of sales training classes are best for your needs. Sales training courses can provide your employees with the skills necessary to make strong sales pitches and close on deals. They can also improve customer relations. This can lead to better retention and advertisement through referrals. Your company’s sales and profits are bound to improve with the help of sales training courses. You should consider all the benefits laid out in this post. You may decide to strongly consider implementing a sales training course in your business.